After a week and a half to catch my breath, I can turn my mind from The A to Z Challenge and start looking forward to the Pennwriters Annual Conference being held in Pittsburgh this coming weekend. I'm beyond excited. Conference are all about networking. Many of the writers I know met their agent or editor at a writing conference. 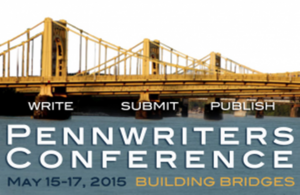 Pennwriters, like many conferences, offer chances to sign up for a one-on-one meeting with the agent or editor of your choice. But that's not the only or even the best way to meet those people who hold such power over your career. First off, do your research and know if the agent or editor you set your sights on is likely to be a good fit for your work. Look at their website and check them out on Twitter and Facebook. 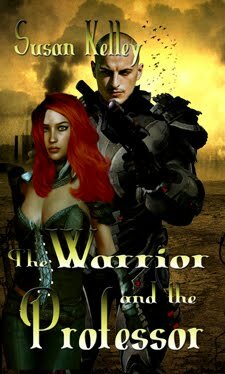 See what authors they've worked with. Are they part of a big organization or the head of their own smaller press or literary agency? Do you want one based in New York or closer to your home? Lots of questions to ask yourself. Are they long established or just starting out and perhaps willing to take on an unknown writer? Most agents and editors will lead at least one workshop or take part in a panel with their peers. Attend the sessions given by your target agent or editor. Sit near the front, take notes and prepare some questions. Act and dress professional for the entire conference not just during your face to face meeting. Often mealtimes mean finding your own seat. Try to get one at the same table as your target. Don't pitch your book unless they ask. This is the time to have your short elevator pitch ready. 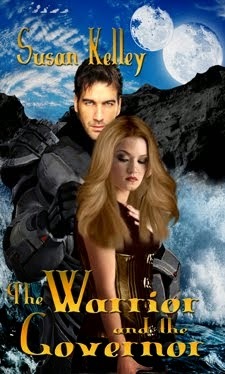 Or cozy up to the bar with that elusive agent or editor. Again, be friendly, not pushy. They won't be offended and will appreciate a free drink. Conferences are mini-vacations for them with some work involved. They want to find the next great bestseller. Make sure they want to work with the interesting, professional they met over dinner or drinks. And don't expect too much. They're unlikely to sign you on the spot. They don't want any hard copy to carry on the plane home with them. But they might ask you to email it to them or submit it to their agency or house. You might find you don't click with the person you stalked for two days. At least you learned before anything was signed that you weren't a good fit. My very first appointment with an agent at my very first writing conference was a huge shock. I can look back on it and laugh now but I was stunned at the time. 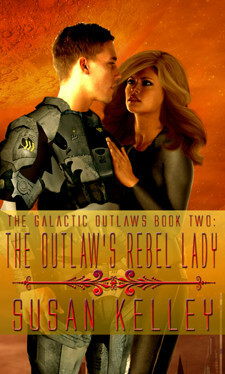 The agent was very well-known in the field and I was excited to meet her in person. My appointment was her first one after lunch. She came in almost five minutes late to the room where I waited. She carried a drink in one hand, with the amber liquid sloshing over the sides as she set it down. Her slurred words made almost no sense. I couldn't believe it. I'd been so nervous and here I was, faced with a drunk who wouldn't even remember my name after I left. Very disappointing but it also taught me to remember that those agents and editors are just people too. Have you ever pitched your writing to an editor or agent face to face? Was it a good experience? Do you have more suggestions of how to stalk an agent or editor at a conference? Care to share your worst experience at a conference? I can't believe she was lit so early in the day! Hope the conference is awesome for you. I can't thank you enough today. Can't wait to put that proudly on my blog. I've never pitched in person. I imagine if I were attending a conference where that could happen that I'd be practicing like crazy and breathing into a paper bag. It was nerve-wracking the first time. I've pitched to agents but I stopped after I watched the process with others. Although some had stellar pitches, agents by and large were so distracted and/or uninterested except when dinner was being served. That's when they came back to life. Maybe they just do it for the free ride. But I never pitched again after what I witnessed. Now if you can share a meal with them, you'll have a better chance pitching than at an actual pitch session. I imagine after back to back pitches, it all sounds the same to them. I think there are some who are there for the free weekend away from work but I've met some very professional ones too. haha so stalk them out, just in a less than conspicuous way? Got it. Yep, sneaky stalking will be done. Have fun at the conference! I've always wanted to go to one. Hopefully I'll get the chance within the next couple of years. I've never pitched in person, and I get anxious just thinking about it! You would probably tear up a pitch session. And you already have accomplished so much, they'll be impressed. This conference sounds like it'll be a blast. I've never been to one...yet, so I appreciate your advice. Conferences are so fun This one is extra special. Agents are just people. Some are good. Some aren't. That had to be quite an experience. Hope the Pennwriters will be great for you. They are just people. Remembering that helps with the nerves. Mostly I'm going to network and meet some interesting writers. Wow. That would've been a blow. I imagine being *so excited* only to discover that this isn't going to work out well at all. BUT, as you say, better to know Before rather than Later. Great tips! I was such a newbie at the time. I was horrified. Best of luck to you with your conference! Man, the idea of having to network and promote myself stresses me out so bad. I want to go to some writer's conferences, but much more to meet people in person who I've already met online-that I like. Selling myself, though, not so much. I enjoy meeting new people at the conference but I would love to go to one where I could meet my blogger friends. Conferences are so much fun. You meet so many people like yourself no matter where you are in your career. These are all great tips and I hope you enjoy the conference! I've gone to a couple as en editor to be pitched to and my advice is to be friendly. Take some time to be real before plunging right into the pitch. Don't be afraid to tell them how much you appreciate their work and admire their company (do your research in advance so you know what they do!) Don't be afraid to say how thrilled you are by this opportunity to pitch your book to them. Then let them say, "What do you have?" rather than breathlessly plunging into your summary at top speed. That is such good advice. I guess editors want to know you as a person as much as a writer wants to know the editor. I've never done a face to face pitch. It scares me enough just doing a query! It doesn't seem like those cons are great places to pitch anyway. Don't get me wrong, there's a lot to learn. Just maybe it's not a time to query. There are always good and bad experiences to be had. I've met some very nice agents and some who seemed to just be having a good time and only socialized with other agents at the bar. I've pitched to four agents, and it was the scariest thing ever! I'm sure it gets easier with time though. I don't know if it gets easier. It's all about how much you have on the line. Wow - no matter who you are, being tipsy or worse at an event is awful!! Pitching would be scary - but I think it's a great idea! Afterward, I heard that tipsy was the agent's normal working condition. First, Congratulations on your You Rock award. I think you do! Yes, I've pitched to agents and aquiring editors. Not set up appointments but in groups around the bar and dinner. I was with friends and was "pushed" you might say. But the one I remember the most was literally getting into the elevator with an aquiring agent, who I knew, we had been laughing and joking at dinner and she had bought several of my friends' MS. So in the elevator, she says, you write too, don't you? I do. So tell me about your stories. Shocked me by asking for my MS--of course she was interested in the one I was working on but hadn't finished.. But then I got sick. So all that was postponed. Still, it was fun and I learn so much from conferences. Thanks, Sia. Alex is so generous. Oh, an actual elevator pitch. I found my very first critique partner on an elevator at a writer's conference. I'm hoping for some group time around the bar or a dinner table to pick a few of the creative minds attending. 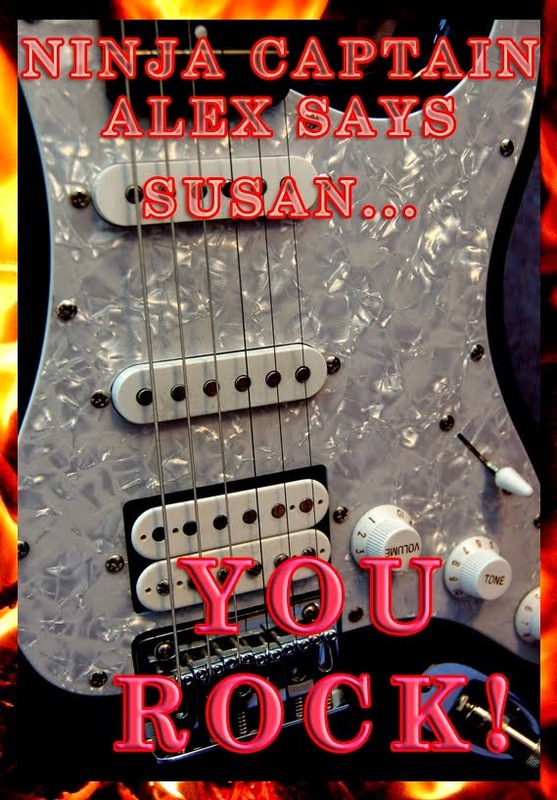 Alex told us you won the you Rock award, my heartfelt congratulations Susan! Thanks, Spacerguy. I feel very honored. All great tips! One of the things we remind people of is that they want to find good authors as much as you want to find a good agent. Be respectful, be professional, and be ready to pitch! I haven't had the opportunity yet to attend a conference but this is good advice for when I do! I went to a conference to pitch to editors. It was terrifying, but I got great practical advice from our pitching coach. I did get a request for a partial from one of the editors. Nothing came from that, but her words of encouragement meant a lot. Just people, is such an important thing to remember. We look at them in awe, but they put one sock on at a time, just like we do. Great post, Susan. Enjoy and hope it's successful for you, might be tough timing so soon after the a-z challenge. Whew. Best of luck with the upcoming conference adventure. I hope you make some fruitful connections.